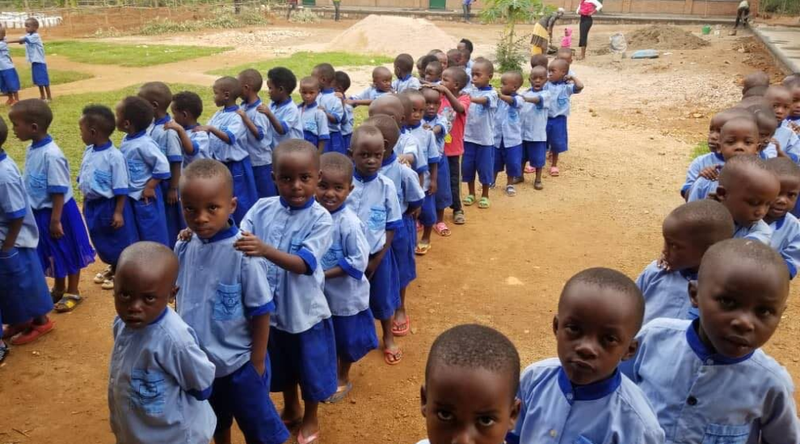 Children in the Rwandan village of Kasebigege are being given a greater chance to pursue a sound education as construction on a new school, developed by bitcoin marketplace Paxful, has been completed. Located in the Bugesera District, the school is a primary institution designed for children between the ages of 6 and 15. It's Paxful's second Philanthropic endeavor in the village, and construction was finished roughly one year after the company built a nursery education center in December 2017. In an interview with Bitcoin Magazine, Ray Youssef - CEO and co-founder of Paxful - says it has always been one of his dreams to build schools for underprivileged children. "You will see more of this, especially schools where they're most needed like in Africa and in rural villages where people don't have access to education or clean water," he explains. "We want to build 100 schools in Africa fully funded by cryptocurrency. This is just the beginning and we've only built two out of the 100." The school is in the heart of the village where Rwanda's infamous genocide began roughly 20 years ago. Youssef says that the area glows with an aura of healing and forgiveness and thus seemed like the natural place to begin rebuilding the country. "We believe that education is key to sustaining a community, but that's not the way you start," he comments. "When you go to a place with absolutely no infrastructure, you must start with the very basics. There should be clean and potable drinking water. In both schools, we have installed water filters, so there's clean water plus a nursery school plus a primary school. We've even installed solar panels. It's everything you need to build up a community. #BuiltWithBitcoin is our way of giving back to the communities that we serve in a way that is sustainable and brings a huge smile to our faces." Youssef says that it took about three to four months to build the school and get it up and running. "The president and founder of Zam Zam Water, Yusuf Nessary, presented a plan for this second school, and it made sense," he states. "Building a primary school next to our nursery gives the children access to continuous education." Construction on the establishment originally began in July of 2018. The goal was to raise approximately $100,000 worth of crypto funds with Paxful matching every donation made. "Last summer, when I came to Rwanda for a visit, the construction was almost complete," Youssef says. "Now, it's really done. It's twice the size of the first school - six classrooms, a cafeteria, bathroom stalls, solar panels on the roof and a 35,000L water well system." Youssef further explains that the new school boasts upgraded furniture and "proper salaries" for its teaching staff. He also says it was easier to build than the first school since he and the rest of the Paxful crew have built greater trust with the people of the village. "We appreciate the trust given by the people to us and Zam Zam Water," he asserts. "The lands where the second school stands were given to us by the officials in the area. We're grateful that we found Yusuf and his team." This is not Paxful's only activity on the Africa continent. The company, which runs a marketplace that allows users to cash in their unused gift cards for bitcoin (among other payment methods), has also established a blockchain incubation hub in Lagos, Nigeria.